When you find folder where your documents are in list in down left corner you will see all documents in selected folder. Just double-click on some of documents or use button with arrows to select document(s). When you are happy with selection just click on OK button. 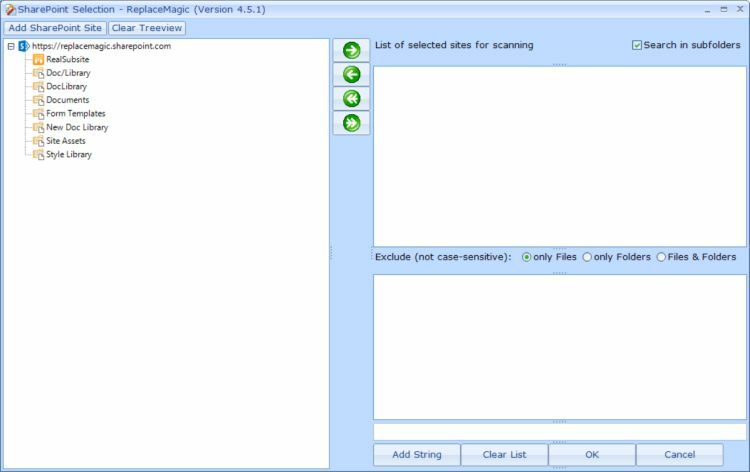 That will select documents that will be processed by ReplaceMagic. 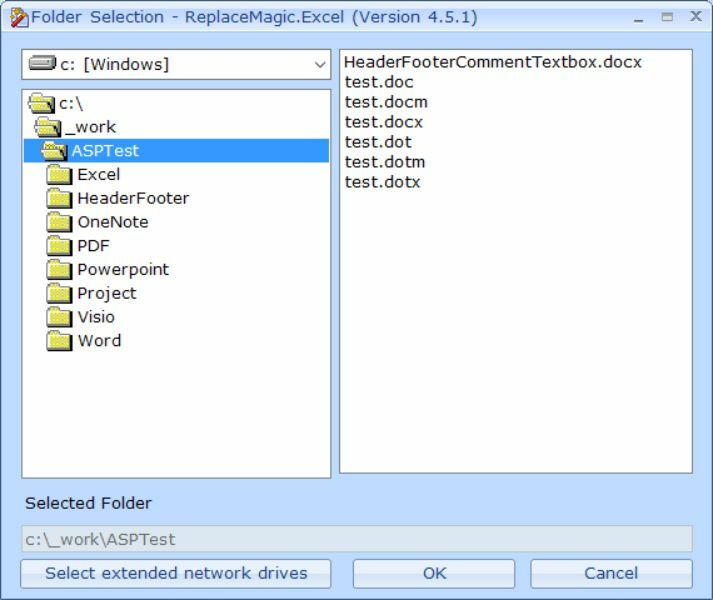 Inside of that form you can also set filtering by including some string which will instruct ReplaceMagic to skip files and/or folders containing that word(s). For example, imagine that you have folder structure where in folders having Backup in name you keep backup of documents which you do not want to process. By including word "Backup" and setting that all folders with it should be skipped ReplaceMagic will simply skip those folder and your documents will not be touched. 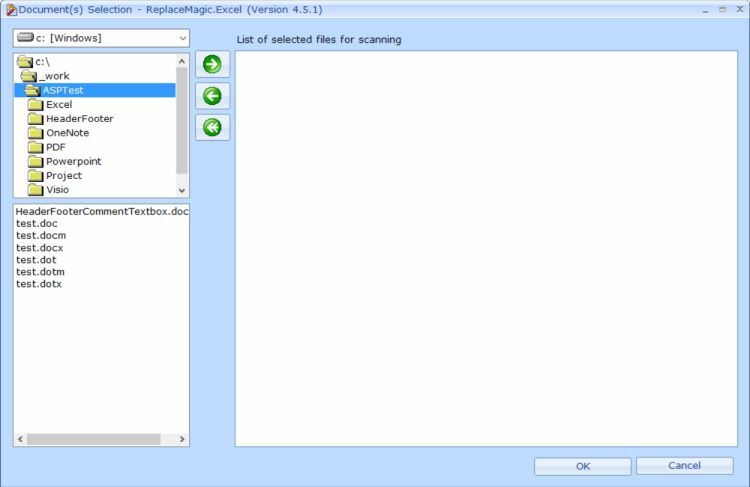 Important: ReplaceMagic can access your SharePoint in 2 ways. First is through native integration like here and in that case ReplaceMagic can check-in/check-out your documents or force check-in if needed but also keep SharePoint dates and editor/author data or second option is that you map SharePoint as a normal drive and then use some of previous 3 icons to specify location where ReplaceMagic should search for your documents. By using second option we cannot work with check-in/check-out and neither keep document properties (date, author/editor) so native integration of SharePoint is certanly better approach.